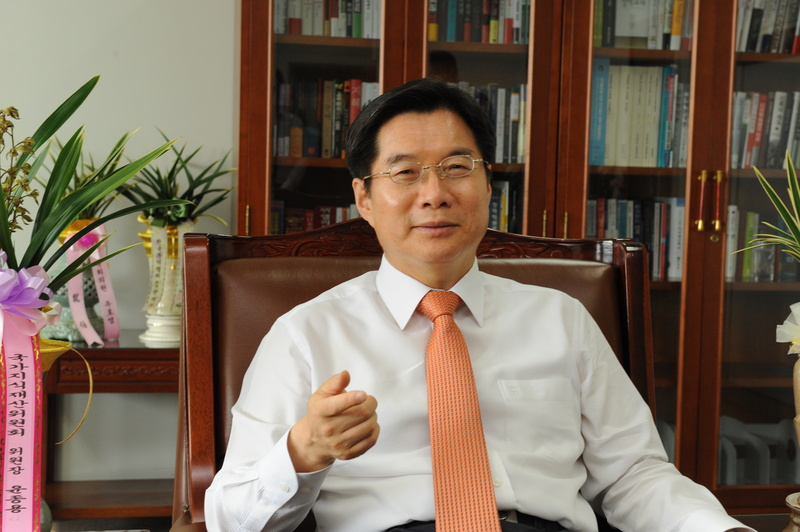 Ho-Won Kim, the newly appointed commissioner of the Korean Intellectual Property Office (KIPO), discussed his views on KIPO’s major policies in a recent exchange with Intellectual Property Watch. He explained the directions KIPO will take on international cooperation, examination pendency periods, and other issues, such as what the international dispute between Samsung Electronics and Apple means for companies worldwide. 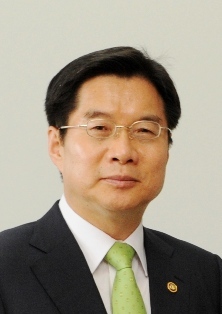 Kim previously held positions at the Ministry of Knowledge Economy and Prime Minister’s Office in Korea where he developed a particular interest in intellectual property. He was appointed as the commissioner of KIPO in May 2012. Intellectual Property Watch (IPW): It has been four months since you took on the job of the commissioner of the Korean Intellectual Property Office (KIPO). What are your future goals for the organisation? Ho-won Kim (Kim): Prior to taking up this job, I supervised the establishment of the Framework Act on IP and the National Basic Plan on IP as the deputy minister leading the IP Strategic Planning Group at the Prime Minister’s Office. It is from there that I learned IP is the key to strengthening the economy of the Republic of Korea. Now that I have become the commissioner of the Korean Intellectual Property Office, I feel this profound sense of duty to develop policies that can enhance the IP environment of Korea. Since May, when I started in this position, I have thought much about this matter and have recently shared KIPO’s policies with the public. First, we intend to expedite the examination process so that the outcomes of innovations can be quickly protected. We plan to shorten the examination pendency period of patents to ten months, designs to five months, and trademarks to three months by 2015. Second, we intend to strengthen the relationship between IPRs and R&D activities to improve the efficiency and quality of R&D projects. We will also make strategic technology road maps focusing on IPRs so that IPRs can be used as a core strategy for R&D projects. Third, in order to enhance our capability to generate excellent IP and effectively handle disputes, we plan to train at least 150,000 IP specialists by 2017. Finally, we will do our best to narrow the IP divide between developed and developing countries by sharing our experiences and know-how. IPW: What are the current trends in intellectual property rights applications in South Korea? Kim: The number of IPR applications in Korea experienced a brief setback in 2008 and 2009 but has steadily increased ever since. In 2011, the number of patent applications filed in Korea reached 178,924, which is 5.2% higher than the previous year. The number of trademark applications of the same year reached 123,814, which is 14.3% higher than the previous year. Overall, the number of applications we received in 2011 amounted to 371,116, a 6.3% increase from the previous year. This makes the Republic of Korea the world’s fourth most active country in terms of IPR applications after China, the United States, and Japan. The number of international IPR applications from Korea is also on a steady rise. According to WIPO statistics, there were 10,447 PCT applications from Korea in 2011, an 8% increase from the previous year, making Korea the world’s fifth most active country for PCT applications after the United States, Japan, Germany, and China. At the same time, there were 489 international trademark applications filed under the Madrid system by Koreans in 2011, which is 38.1% more than the previous year. IPW: What are the current statistics on the examination pendency period? What is KIPO doing to shorten this pendency period? Kim: Despite the rising trend of IPR applications in Korea, we were able to successfully shorten the examination pendency period for all IPRs in 2011. The average first action pendency periods in 2011 were 16.8 months for patents and ten months for trademarks and designs. This year, we intend to bring the figures down to 14.8 months for patents and nine months for trademarks and designs. In order to expedite the examination process while ensuring its high quality, we increased our staff by 435 members over the last ten years, adding 93 new examiners in 2011. We plan to continue to expand our examination manpower in the coming years. In addition, in an effort to lessen the workload of each examiner and enhance the quality of our examinations, we are outsourcing more of the prior art search for patent, utility model, and PCT applications. At the same time, we are continuing to enhance our third-generation KIPOnet system to improve the efficiency and productivity of our examiners. Furthermore, we are expanding international cooperation to devise measures to share examination results with major countries in order to improve examination quality and solve the backlogs caused by duplicate applications. We also plan to increase the number of our training programs, including classes on new technology, for examiners to further develop their capabilities. IPW: You recently participated in the IP5 Heads Meeting held in France. What was discussed and achieved during the meeting? Kim: KIPO is a member of the IP5 framework of cooperation along with the intellectual property offices of the United States, Japan, Europe, and China. At this year’s IP5 meeting, we discussed the development of the Global Dossier, a system that would provide patent information at IP offices through a single channel. Once the Global Dossier is realized, patent applicants will be able to access a vast amount of patent-related information with much more ease, significantly improving the management of their applications. In order to support the early development of the Global Dossier, KIPO suggested organizing a special taskforce, which gained consensus among the other IP offices. The representatives of the IP5 confirmed that they would cooperate to develop the Global Dossier. The IP5 also agreed to establish an IP5 Patent Harmonization Expert Panel to discuss the harmonization of patent systems and practices. IPW: Korea claims to be dedicated to solving the IP divide between developed and developing countries. What specific projects are you currently implementing? Kim: We are currently providing a wide range of IP sharing projects based on our experience and expertise to promote the development of many developing countries. The first program is our Appropriate Technology Project. Aimed at improving the quality of life and living conditions for residents of developing countries, this project provides communities with simple and easy to maintain solutions for shortages of water, food, energy, and other basic necessities. Our One Village One Brand project targets the branding power of manufacturers in developing countries. It started in recognition of the fact that many high quality products manufactured in developing countries are not priced fairly because they lack brand power. Through this project, we help manufacturers increase their marketing power by developing brands for their products. We also provide training programs to strengthen the capacity and infrastructure for IP management in developing countries. In addition to providing IPR examiners in these countries with practical patent and trademark examination training, we have also developed textbooks on IP entitled “IP Panorama” and “IP Xpedite”. The former, developed in partnership with WIPO, outlines the basic concepts of IPRs and business strategies. The latter, developed in cooperation with APEC, outlines techniques for searching and obtaining valuable IP information. Finally, we have provided assistance in building and upgrading IP office automation systems in developing countries including Mongolia, Azerbaijan, and the African Regional Intellectual Property Organization (ARIPO). We will continue to develop and provide an increasing array of programs designed to reduce the IP divide between developed and developing countries. IPW: The WIPO General Assembly will be held in Geneva in early October. What are your plans for this meeting? Kim: On behalf of the Korean government, I am scheduled to make a general statement. I will take this chance to share my thoughts on the necessary actions of WIPO and the member states for the sustainable development of international IP systems. First, I will ask WIPO to strengthen its role and capacity as a service provider so that users of such international IP systems as the PCT and the Madrid system can benefit from greater access and ease in using those systems. In addition, I will also ask all member states to be more proactive in shaping and developing international IP norms such as international treaties on designs. I also will emphasize our readiness to continue our cooperation with the WIPO Development Agenda in order to reduce the IP divide worldwide. Last, I will introduce some of the latest activities and initiatives the Republic of Korea has taken toward managing and promoting IP. In addition, we are preparing multilateral discussions with members of the IP5 (on patents) as well as the TM5 (on trademarks) as part of our efforts to strengthen our presence in the international stage. By engaging in a series of bilateral meetings with the IP offices of Australia, Brazil, Canada, Europe (EPO and OHIM), Hungary, Japan, and Singapore, we will also seek to diversify the range of international cooperation on patents and trademarks. In particular, we plan to sign memorandum of understanding on implementing a Patent Prosecution Highway (PPH) with Singapore and Hungary. IPW: What is KIPO doing to eradicate counterfeit goods? How will it ensure that enforcement efforts do not place a burden on access and innovation? Kim: In an effort to eradicate counterfeit goods from Korea, KIPO launched the Special Judicial Police Squad for Trademarks (SJPST) in September 2010. The SJPST, in turn, organized the Online Investigation Police Squad equipped with digital forensics equipment in December 2011 to respond to the increasing amount of counterfeit goods distributed through online markets. Although the SJPST has had remarkable success, confiscating over 140,000 counterfeit goods in the two years since its launching, it should also be noted that the techniques for manufacturing, distributing, and selling counterfeit goods are becoming increasingly sophisticated. Therefore, in order to detect and prevent the sale of counterfeit goods more effectively, the SJPST will proceed with its planned investigations of large suppliers and manufacturers, while expanding its staff and enhancing its professionalism. While the efforts of the SJPST are vital to this cause, the most important and fundamental change must take place in the minds of consumers to stem the demand for counterfeit goods and eradicate the problem at its root. If consumers do not buy counterfeit goods, the amount of distributors will naturally be reduced. In an effort to build a public consensus that the purchase of authentic goods is ultimately more beneficial, KIPO has launched various campaigns to inform consumers of the dangers of counterfeit merchandise through social networking sites, television, the internet, newspapers, and classes for teens. We will continue to increase these campaigns in the future. It is my belief that once society reaches a consensus on the importance of respect for and protection of intellectual property rights, we will be able to promote innovation and creativity much more successfully. IPW: What are your views on the international patent dispute between Samsung and Apple? What should companies do from now on in order to avoid patent disputes in the future? Kim: The massive patent dispute between Samsung Electronics and Apple clearly shows that IPRs should become a core part of management strategies such that a company needs to carry out research with a focus on IPRs and employ IPR specialists who can help secure IPRs. The dispute also provides clear evidence that companies will no longer remain competitive if they fail to prepare for possible IPR disputes. In the past, patent infringement suits were mostly brought to court to enforce the payment of royalties in some countries. But recently, as manifested in the patent war between Samsung and Apple, they are being filed to prevent competing companies from entering the market itself and can be brought to court in any country. Therefore, it is of utmost importance for companies to establish global management strategies with international IPR protection and integrate IPR policies into their plans for international expansion. Furthermore, the issue of infringement of Apple’s design rights and trade dress in the United States reminds us that works of creativity like designs are just as important to IPR management as the cutting-edge technology protected by patents. Thus, it is vital to secure a broad range of IPR rights that include core technology as well as non-technological IPRs including designs, trademarks, and trade dresses in order to better prepare for possible disputes. IPW: Lastly, what advice would you give to foreign companies wishing to enter and succeed in the Korean market? Kim: We are doing our utmost to provide world-class IP services in an environment that protects IPRs for Korean and multinational companies alike. In particular, the recent signing of the Korea-US FTA and Korea-EU FTA has enabled the relevant countries to further harmonize their IP systems so that they do not become an obstacle to mutual trade and investment. We also plan to expedite our examination process for international applicants by expanding our PPH partnerships with all participating countries. In light of these actions, I would like to encourage companies around the world with excellent ideas and technology to enter the Korean market without having to worry about the protection of their IP rights. KIPO will continue to do its best to promote the innovative activities of businesses by continuously improving the IP system in Korea. "Q&A With Newly Appointed KIPO Commissioner" by Intellectual Property Watch is licensed under a Creative Commons Attribution-NonCommercial-ShareAlike 4.0 International License.